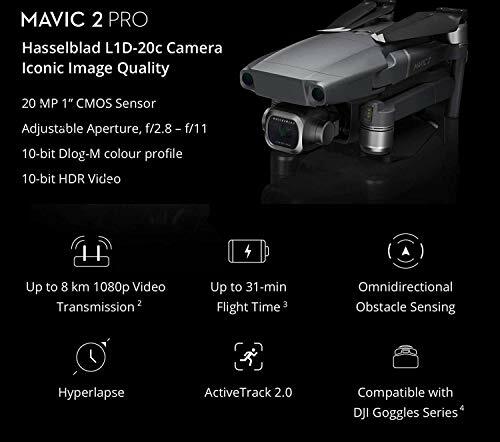 The Mavic 2 Pro was released in Aug 2018, it is latest DJI Flagship Drone on market. The DJI Mavic 2 Pro embodies all of DJI's advanced and signature technologies, including: Hasselblad Camera (Mavic 2 Pro), 8 km 1080p Video Transmission, Omnidirectional Obstacle Sensing, & Hyperlapse. The Mavic 2 Pro is all about dynamic perspectives. Capture everything from wide angle to mid-range shots for even more creative options.